This year is the third International Year of the Reef! 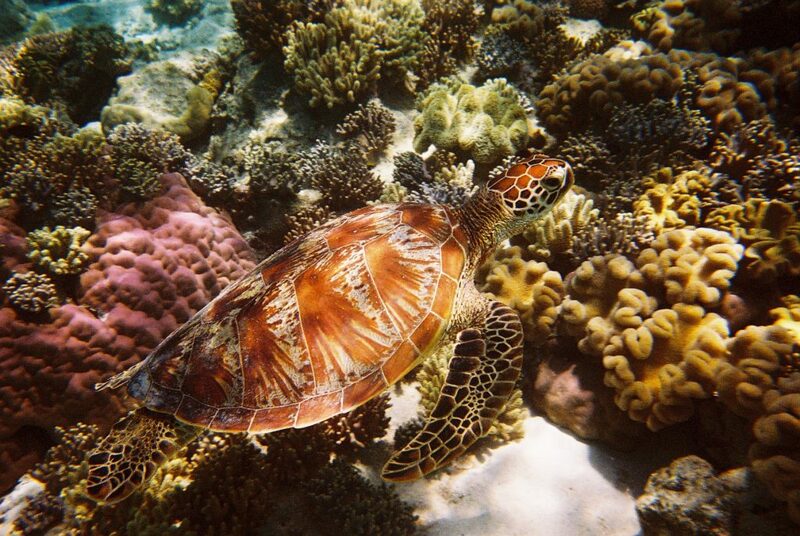 To celebrate, we're devoting the first two weeks of October to highlighting the beauty and frailty of our reefs. Coral reefs are often called the rainforests of the sea, covering less than one percent of the ocean floor, yet supporting twenty-five percent of all marine life in our ocean. Healthy reefs provide habitat to over 1 million species, billions of dollars and millions of jobs in over 100 countries around the world, a food source for people, natural barriers protecting coastal cities and many medicines. Globally our reefs are under siege from a variety of issues including overfishing, destructive fishing methods, unsustainable tourism, coastal development, pollution and the global aquarium trade. Add in coral bleaching, rising sea levels and ocean acidification due to climate change, and you can see that our reefs are in big trouble. With some studies estimating 70% of our global reefs have been damaged or destroyed and that by 2050 the world's coral reefs could be damaged beyond recovery, we have to act not! Julia Barnes is the award-winning filmmaker behind Sea of Life. For as long as she can remember Julia has been passionate about the natural world, but it wasn't until she was 16 that she realized the world she loved was in serious jeopardy. After watching Rob Stewart's documentary Revolution and learning that the world's coral reefs, rainforests and fisheries are expected to be wiped out by the middle of the century she was compelled to take action. Film was the most powerful weapon she could imagine so she picked up a video camera and set out to make a documentary to raise awareness about the biggest threats facing the ocean and inspire audiences to turn things around. Dr. Daniel Wagner works as an expedition coordinator for NOAA's Office of Ocean Exploration and Research. Daniel has conducted research on deep-sea corals since 2006, and has since spend over 500 days at sea during 25 expeditions that explored deep-sea habitats throughout the Indo-Pacific, Atlantic and Southern Oceans. His research interests include the taxonomy, life history, and ecology of deep-sea corals, particularly black corals. Daniel received his Ph.D. and M.S. in biological oceanography from the University of Hawaii and a B.S. in Biology from Hawaii Pacific University. Prior to that Daniel interned at the Galapagos National Park, where he developed a deep fascination for nature and the ocean. Emma Camp is a Researcher at the University of Technology Sydney, a National Geographic Explorer and the 2018 recipient of the British Ecological Societies Aquatic Early Career Research Award. She studies and advocates for the world's marine life under threat from climate and environmental change. 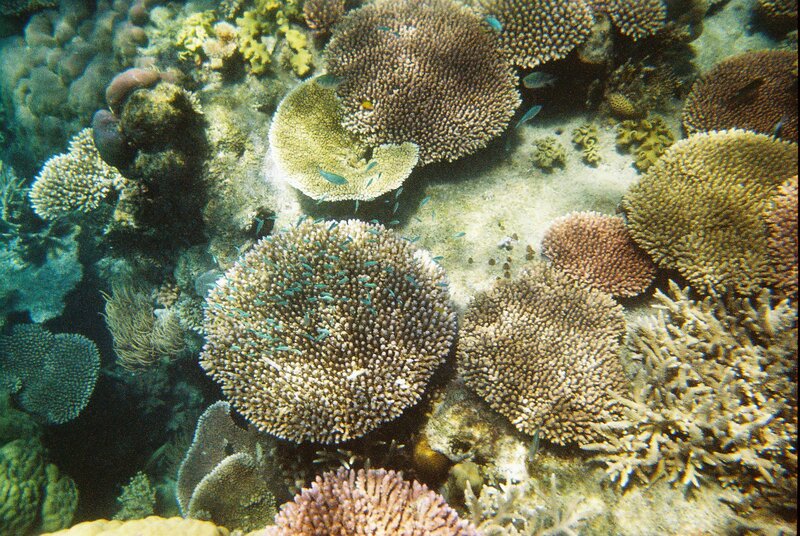 Her research focuses on the role marginal reef environments (e.g. mangrove habitats) can play in understanding the impacts of future climate change on coral reefs. Consequently, by studying corals living in these extreme environments, Emma seeks to understand the traits coral require to survive future environmental change. In 2017, she led the first National Geographic Waitt Foundation expedition to search for hot-spots of coral resilience on the Great Barrier Reef. Dr. Dominic Andradi-Brown is a Marine Scientist on WWF’s Oceans Team, where he works on ecological monitoring and evaluation of conservation projects. He provides scientific support for conservationists in Indonesia and Fiji to evaluate the performance of marine protected areas. Dominic also works as a scientist for the Global Mangrove Alliance, an innovative partnership between five leading NGOs (including WWF) to increase mangrove forest protection and restoration. Dominic completed his PhD in the Ocean Research and Conservation Group at the University of Oxford, researching fish ecology on deep coral reefs – where he conducted diving to 100 m (330 feet) depth. During his PhD, Dominic worked with conservation organizations to integrate deep coral reefs into reef management plans and conservation actions. Dominic is a member of the Reef Conservation UK steering committee, and in the past, has worked with organizations such as the Zoological Society of London and Operation Wallacea. He has coral reef research experience in many tropical regions, including: the Chagos Archipelago, Fiji, Honduras, Indonesia, and Mexico. Flower Garden Banks National Marine Sanctuary, in the Gulf of Mexico, is home to thriving coral reefs off the coasts of Texas and Louisiana. Learn all about this amazing ecosystem right off the shores of the Southern United States. Kelly joined the Flower Garden Banks National Marine Sanctuary team in August 2004. As Education & Outreach Specialist, she is responsible for developing activities, lessons and displays; collaborating with zoos and aquariums; updating and maintaining the sanctuary website; participating in community events; managing social media; conducting workshops and presentations, and many other activities that help others learn about the sanctuary. She has been an informal science educator for over 25 years and is also a certified elementary school teacher. Ryan is currently a masters student at the University of Guelph, marine biologist at Parks Canada, and explorer with the National Geographic Society. His work is focused on identifying species of coral that may persist in the face of global climate change, and the creation of marine protected areas. Growing up in Southern Ontario, Ryan was lucky to be surrounded by some of the most diverse biological communities in Canada— from the wood turtle to the bald eagle. For this reason, the conservation of nature is his primary interest. Ryan strives to help make the world a better place for everyone, even in one small way. Dr. Erika Woolsey is a marine biologist, ocean educator, and National Geographic Explorer. She conducted most of her research on the Great Barrier Reef in Australia where she investigated how warming oceans are impacting coral reefs, specifically how rising temperatures hinder survival and development in young corals following mass spawning events. Amidst the rapid degradation of ocean ecosystems like coral reefs, Erika is dedicated to translating scientific discovery into public understanding. Most recently, she’s been the CEO of The Hydrous, a nonprofit that combines science, design, and technologies such as virtual reality and photogrammetry for ocean education. Erika received her Ph. D. from James Cook University and the Australian Research Council Centre of Excellence for Coral Reef Studies, earned her Masters of Applied Science in Coastal Management from the University of Sydney, and studied Biology and Art History at Duke University. Jonatha Giddens is a deep-sea research ecologist with the Fisheries Ecology Research Lab at the University of Hawaii, and a coral reef ecosystems specialist with NOAA’s Pacific Islands Fisheries Science Center. As a National Geographic Fellow with the Exploration Technology Lab, Dr. Jonatha is developing a research program to assess indicators of deep-sea health through the global Deep-ocean Dropcam program. This program will establish an index of ecosystem health to protect biodiversity in the deep sea. Dr. Jonatha previously held a National Science Foundation Graduate Research Fellowship for her doctoral research on the impacts of introduced marine species to near-shore coral reef ecosystems. With a background in natural and social sciences, with training in art and traditional storytelling, and inspired by travel across land and sea, Jonatha has a vision to contribute to a planet in balance by sharing her passion for exploration, discovery, and our human connection with the Ocean. Jennifer Stock is the education and outreach coordinator for NOAA's Cordell Bank National Marine Sanctuary off the coast of the Marin and Sonoma counties in California. Jennifer is an "ocean translator" and works closely with marine scientists to translate to people on land what is going on out there any why the ocean is so important. Cordell Bank National Marine Sanctuary is in cold temperate waters off of CA and provides home to deep sea corals from 45 meters to over 2000 meters. Aloha, my name is Peggy Foreman. I am NOAA Fisheries Pacific Islands Region Education and Outreach Coordinator working in Honolulu, Hawai'i. I am also a former 5th & 6th grade teacher (6 years), middle school teacher (2 years), and taught marine biology, oceanography, and ocean technology at Everett Community College in WA State (2 years+). I hold a marine biology degree and a Masters Degree in Education and a Masters of Science where I studied killer whale acoustics. I am honored to dive into the Pacific Ocean with all of you and show you what our coral reefs look like here, explain what NOAA is doing to protect these ecosystems, as well as our partners. Our presentation will cover the intersection between creative arts, technology, and marine science. The complex concepts of the marine and coastal science can be hard to teach. In our office we use the graphic arts and technology to help the public both understand and connect with marine and coastal science. Presentation will cover the design, creation, and use of our 3D printed coral polyps, as well as fast-draw tutorials and videos to have communities understand and connect with their marine environment. Paulo Maurin currently works with NOAA's Coral Reef Conservation Program in Hawaii as a program coordinator. He's also worked managing the coral fellowship and with international work in partnership with USAID in the coral triangle region. He currently coordinates projects across Hawaii including coral reef monitoring, community partnerships, coral nurseries, and coral bleaching recovery & marine sustainability planning. Michael Pai is a visualization artist with NOAA's Office for Coastal Management. He works with animations, video, infographics, and illustrations to help the public understand and appreciate marine and coastal science.